Heart to Get Classic bracelet collection is a collection with everything you always wanted. Bracelets with a cute little symbol. You name it, we have it. 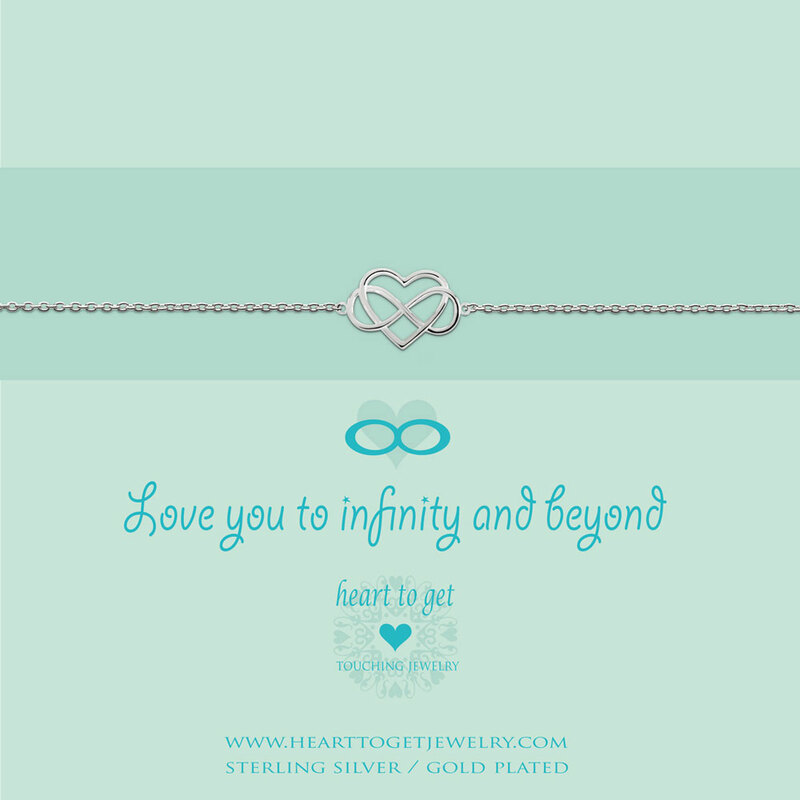 This bracelet wears the message ‘Love you to infinity and beyond’. Length of the bracelet: 16 cm + 2 cm extension. Available in silver, gold plated or rose plated.